Next to the water tower in Tower Road. 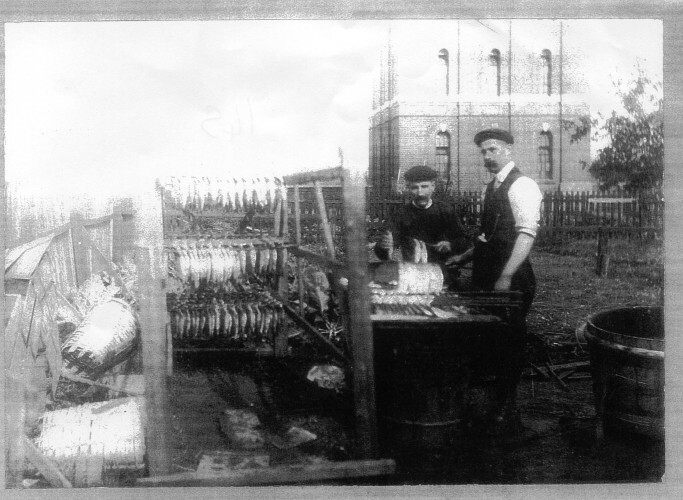 Herring smoking at Wivenhoe Cross in the early 1900s. Ernest (Balam) King would collect the herrings from the Quay and split and smoke them on his piece of ground next to the Water Tower up at the Cross. He would sell them round the village with his pony and trap. Ernest was a baker’s assistant before being called up to join the Army in W.W.1.